Should You Ask Your Child About Their Day? So you have heard another single-syllable reply from your kid. Fine. Nothing. Grunt. You sigh and drive your child home. It’s quite clear why kids do not want to discuss what happened that day: they are fed up with school. But should you actually shut up and keep silent while dining and doing other things as a family? Is the approach really that horrible? They know it all, and some of them dread the moment. The question is as unnatural as it gets. Handing out questionnaires is not the best way to greet your kid when they are finally back home. If you were in their shoes, you’d perhaps hate it too. They have just been studying hard for several hours, with little to no breaks to relax, with so many noisy kids around, and the last thing they want to discuss is school. A family dinner is a good occasion to discuss problems that each family member may have. However, it’s not a reason to turn it into an interrogation. Don’t get it wrong: short replies to how-was-your-days are not the consequence of your kid being stubborn and unwilling to talk. It’s just that a parent should be careful when talking to the child and try to understand what they feel at a particular moment. In most cases, post-school grunts are the result of tiredness, just that. They are finally free to enjoy their meal and don’t want it to be seasoned with yet another story of what they learned today and that very F they want you to learn about when you are in a better mood. Be kind – it’s no good taking offence because of not receiving a report on the previous six hours your kid has just spent. 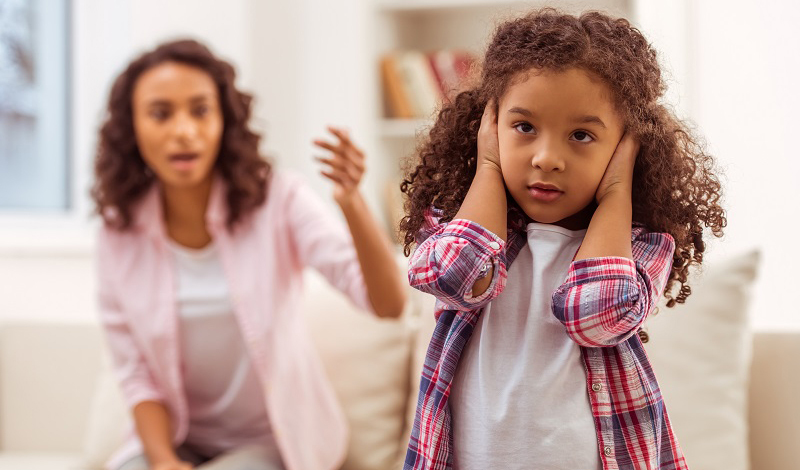 If you insist and keep on asking, you can aggravate the situation and force one of the two outcomes: either your kid will refuse to talk at all, or they will tell you something that only pretends to be an answer. Children are ingenious when it comes to developing strategies to deal with parents, and they can devise a story to tell you just to make you feel comfortable. Another option is to tell you everything in every detail to make you regret asking. All in all, the goal will not be achieved. Instead of bombarding your kid with questions or trying to use sophisticated disguise–like ‘what is the moment you are most proud of?’– be sincere and patient. If you see that your kid is upset, the good old ‘how are you?’ might be the best way to ask about it. If no answer follows, give them some time to calm down, and try again later. Tell them you are happy to see them or just give them a hug – not a hypocritical one, but the one that will make them realize you mean it. The message here is not to neglect your child or not to care, but not to force them to go to their shell. You should be their friend, not only a parent, and it takes patience and great parenting skills. When your child is back from school, don’t ask them what happened there, if you see that your kid is really tired. You will hear the whole story later, including what they learned, who they talked to and played with, what marks they got, etc. The opposite of insisting on replying to a how-was-your-day with a lengthy story is even worse. If you do not ask the kid about their life, they may feel abandoned or think you don’t care. If you don’t ask, it means you are not interested. If left on their own with no one to share their feelings with, your kid can become withdrawn or, if it’s a kid under five, even develop reactive attachment disorder. After all, if you really want to know how your child’s day was, why should you keep silent, like some web pages advise? Family meals are a good environment to share everything you want others to know, and your child is no exception. If the atmosphere is friendly, chances are you will hear that the pizza was super tasty and Nancy got a dog – ‘why not adopting one too, mum’?